Lumley Engineering site uses only one cookie. It is a session cookie, which is deleted at the end of your browser session. It holds no personally identifiable data relating to our site visitors, other than the broad geographical location. This serves to ensure the site delivers the correct information in terms of local contacts, currency and taxes. Local customers and personal callers are always welcome at our workshop. Very often it is far easier and quicker to get your project under way from face to face conversation. The old fashioned ways so often are more efficient than games of email ping-poing. Whether you need a bracket for your restoration project, or a car, motorcycle, van or lorry rebuilt or built from the ground up, just give us a call and arrange a visit. Being based in Highbridge, Somerset, we are really easy to reach from the Cadley area. 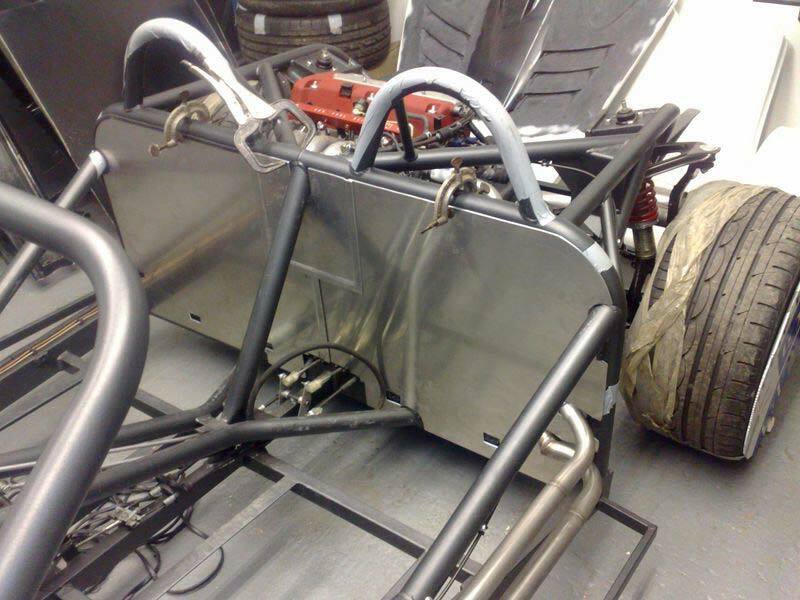 Many of the current Formula 2 sidecar racing outfits are based on our chassis, or use our dry sump lubrication systems. By investing in tooling, these standardised components can be supplied to fit many modern sports bike engines for your formula 1 or formula 2 racing sidecar outfit. As sidecar racers ourselves, we believe in testing the work to its limits in competition, so you know it will be right. If you are restoring a classic motorcycle, car, van or lorry in Cadley , hard to find parts can be fabricated from patterns, even if the original is in very poor condition. Shipping items to us for one-off attention can be a very efficient way of replacing an item that just can't be found for your restoration project. Complete vehicles can also be built in our workshops, either from car kits, or ground up builds to house your motorcycle engine in a new, unique frame, with all the tanks and sundry items made just the way you want them. See the recent works gallery for some examples of custom built bikes for road use, racing, sprinting and hillclimbing. There is even a gravity powered sidecar that was built for a customer from basic information supplied. Page generated in 0.0089 seconds.